Babblings of a Mommy: Coming Soon! Marilyn Monroe MAC Collection. Coming Soon! Marilyn Monroe MAC Collection. They say diamonds are a girls best friend, but MAC is counting on make-up being right up there too. This fall, they are releasing a collection based on the ultimate muse herself - Marilyn Monroe. The cosmetics company is using the bombshell's famous sultry cat eye, flawless nails, and crimson pout as inspiration for an upcoming lineup, which will include a range of eye shadows, nail lacquers, eyeliners, and lipsticks. 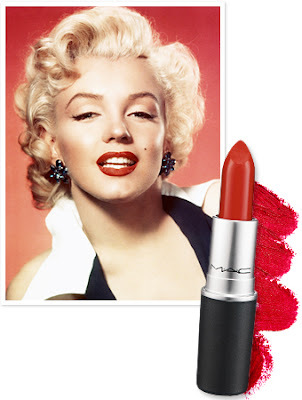 The Marilyn Monroe Mac Collection will be priced from $15 to $27, and land in stores this October. I adore Marilyn! Can't wait for collection to come out! !